This book leads the reader on a spirited journey of discovery through the structures, pathways, and reactions of organic compounds. 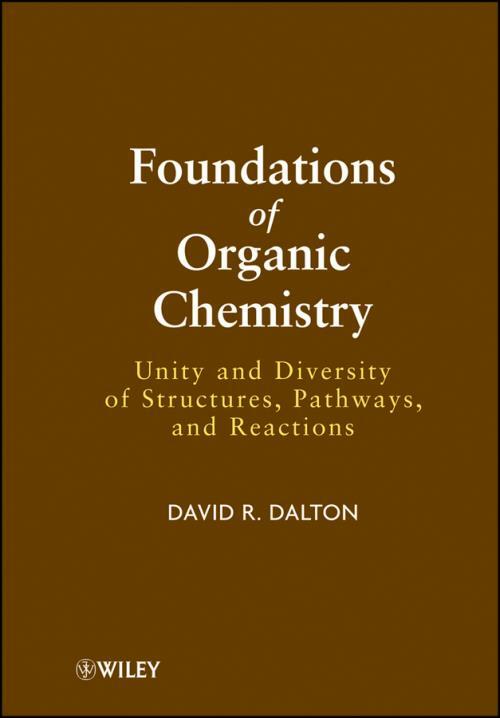 While other books on organic chemistry cater mostly to premed students, this volume ties in the discussion to the entire discipline of chemistry. Throughout, it promotes critical thinking and encourages readers to question existing assumptions instead of focusing solely on applications. Prologue and Introduction to Part I Background. Chapter 1. An Introduction to Structure and Bonding. A. The Sources of Carbon Compounds. C. On the Nature of the Chemical Bond. Chapter 2. An Introduction to Spectroscopy and Selected Spectroscopic Methods in Organic Chemistry. Chapter 3. Structure: The Nomenclature of Hydrocarbons and the Shape of Things to Come. C. Physical and Chemical Properties; Oxidation and Reduction of Hydrocarbons. Chapter 4. An Introduction to Dynamics. B. Review of Some Energy Considerations. C. The Barrier Between Reactants and Products. D. More About the Transition State. E. Rotation About Sigma (s) Bonds in Acyclic Alkanes, Alkenes, Alkynes and Alkyl Substituted Arenes. F. Conformational Analysis of Medium–Ring Cyclic Alkanes . G. The Conservation of Symmetry During Reactions. H. The Measurement of Chirality. Chapter 5. Classes of Organic Compounds – A Survey. An Introduction to Solvents, Acids and Bases; Computational Chemistry. B. General Characteristics of Functional Group Placement. C. The Functional Groups and Their Names. D. An Introduction to Solvents. Introduction to Part II Middleground. Chapter 6. Reactions of Hydrocarbons: Oxidation, Reduciton, Substitution, Addition, Elimination and Rearrangement. E. Arenes and Aromaticity: Special Introduction. Chapter 7. The Reactions of Alkl, Alkenyl and Aryl Halides: Oxidation Reduction, Substitution, Addition Elimination, and Rearrangement. D. Reduction of Alkyl, Aldenyl and Aryl Halides. G. Elimination Reactions of Alkyl and Alkenyl Halides. H. Rearrangement Reactions of Alkyl and Alkenyl Halides. Chapter 8. Part I The Reactions of Alcohols, Enols and Phenols: Oxidation Reduction, Substitution, Addition Elimination, and Rearrangement. Part II Ethers. Part III Selected Reactions Of Alkyl and Aryl Thiols and Thioethers. Part I. Alcohols, Enols and Phenols. B. Oxidation of Alcohols, Enols and Phenols. C. Reduction of Alcohols, Enols and Phenols. D. Substitution Reactions of Alcohols, Enols and Phenols. E. Addition Reactions of Alcohols, Enols and Phenols. G. Rearrangement Reactions of Alcohols, Enols and Phenols. II. The Reactions of Ethers. Part III. Thiols, Thioethers, and Some Products of Their Oxidation. Chapter 9. Part I The Reactions of Aldehydes and Ketones: Oxidation, Reduction, Substitution, Addition Elimination, and Rearrangement. Part I. Aldehydes and Ketones. A. Oxidation of Aldehydes and Ketones. B. Reduction of Aldehydes and Ketetones. C. Addition to Aldehydes and Ketones. D. Substitution Reactions Producing Aldehydes and Ketones. E. Rearrangement Reactions of Aldehydes and Ketones. Part II. Carboxylic Acids and Their Derivatives. D. Substitution: Addition and Elimination. E. Additional Reactions and Rearrangements of Esters and ß–Dicarbonyl Compounds. phosphorus Chemistry. Part III Some Organosilicon Chemistry. Part I. The Reactions of Amines: Introduction. C. Addition and Substitution Reactions of Amines with a General Introduction. D. Addition and Rearrangement Reactions of Amines. Part II: Some Organophosphorus Chemistry. Part III. Some Organosilicon Chemistry. Introduction to Part III Foreground. Chapter 11 An Introduction to Carbohydrates, Acetogenins and Steroids. B. Acetyl CoA to Fatty–Acids and Related Compounds. C. Isoprenoides: To Dimethylallyl Diphosphate and Beyond. Chapter 12 An Introduction to Amino Acids, Peptides and Proteins, Enzymes, Coenzymes and Metabolic Processes. A. Amino Acids from Peptides. B. Peptides from Amino Acids in vivo. C. Peptides from Amino Acids in vitro. F. Nicotinamide Adenine Dinucleotide (NAD+). H. Flavin Adenine Dinucleotide (FAD). Chapter 13 An Introduction to Alkaloids and Some Other Heterocyclic Compounds. C. Biosynthesis of Hyoscyamine and Nicotine. III. Morphine (and Codeine and Thebaine). A. Chemistry of Morphine (and Codeine and Thebaine). B. The Biosynthesis of Morphine (and Codeine and Thebaine). C. The Synthesis of Morphine. A. Some History and the Synthesis of Caffeine. Chapter 14 Part I. On the Genetic Code: Unity and Diversity. Part II The Tetrapyrrolic Cofactors: Unity and Diversity. Part I. Introduction (The Genetic Code). A. The Sequencing of DNA. B. Chemical Synthesis of DNA. Part II The Tetrapyrrolic Cofactors. Appendix I The Schrodinger Equation.